Obviously, when it comes to bookshelves, there are plenty of stock models available on the market to suffice for basic storage needs. But there’s an undeniable aesthetic advantage to customizing a bookcase to your space. 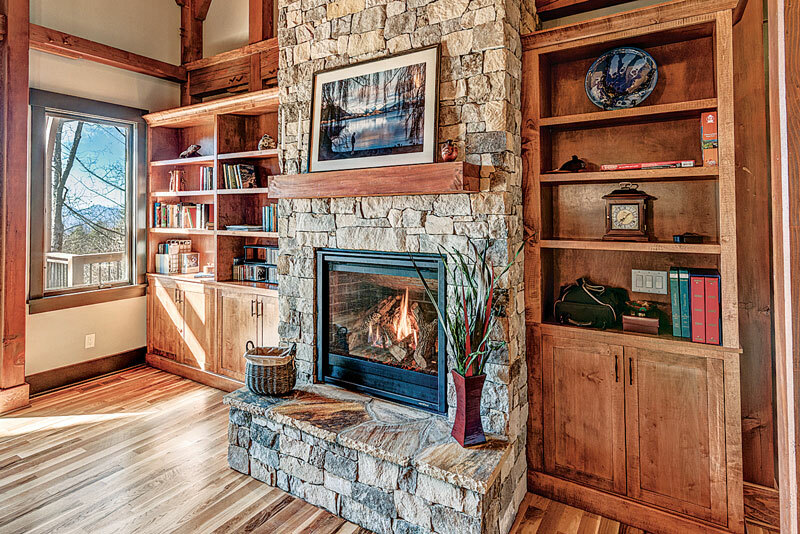 In a timber home — where the craftsmanship that defines this construction style is such a dominant feature — the ability to blend an equally prominent furniture piece can be even more beneficial, but don’t make it complicated. The overhead beam work in this North Carolina home was designed to be a focal point, so the bookshelves were intentionally kept simple to complement the look of the space while serving as a neutral backdrop for the room. Today’s mudrooms often have a full set of upper and lower cabinets, complete with a countertop. This is especially helpful if you have a washer and dryer in the space, so you can keep utility products on one level and things like bleach and detergent on the other. Shelving or personalized drawers also are perfect for stashing smaller items, like backpacks and shoes, that you need to grab quickly. 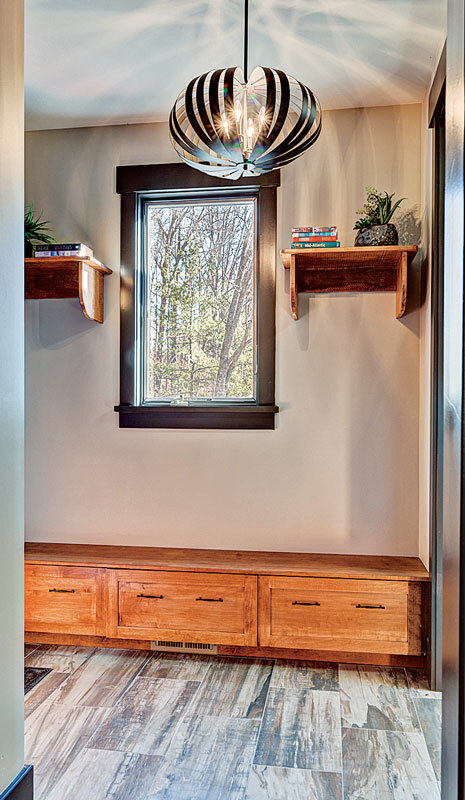 A comfortable place to sit, like the built-in bench shown here, is also important in a mudroom. To avoid bottlenecks near the door, remember that benches and stools should be located closer to the entrance to the main house and clear of the door-swing area.